This is a November 1988 cover feature from British comics fanzine SPEAKEASY, pegged to the launch of Marvel UK's regular DEATH'S HEAD US-format monthly (which clocked-up ten issues before being canned). 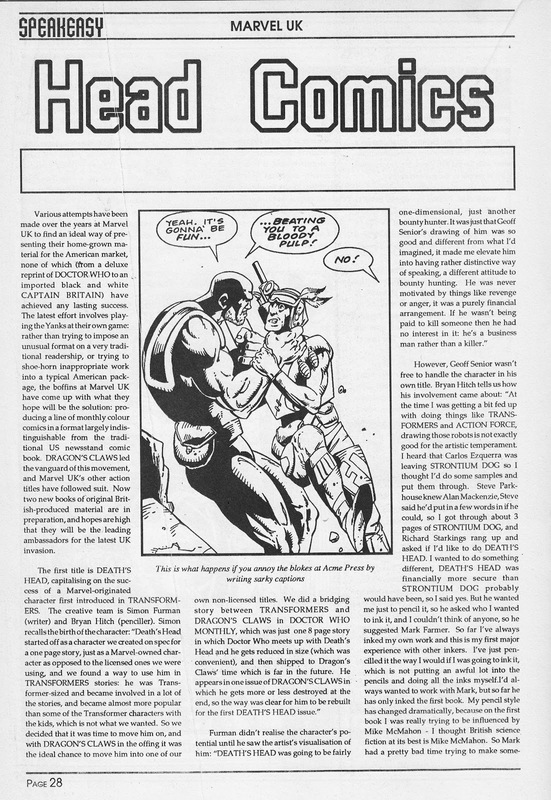 By this point, Speakeasy had abandoned its unwieldy tabloid-newspaper format in favour of a more traditional A4 affair, albeit still published on god-awful news-print. 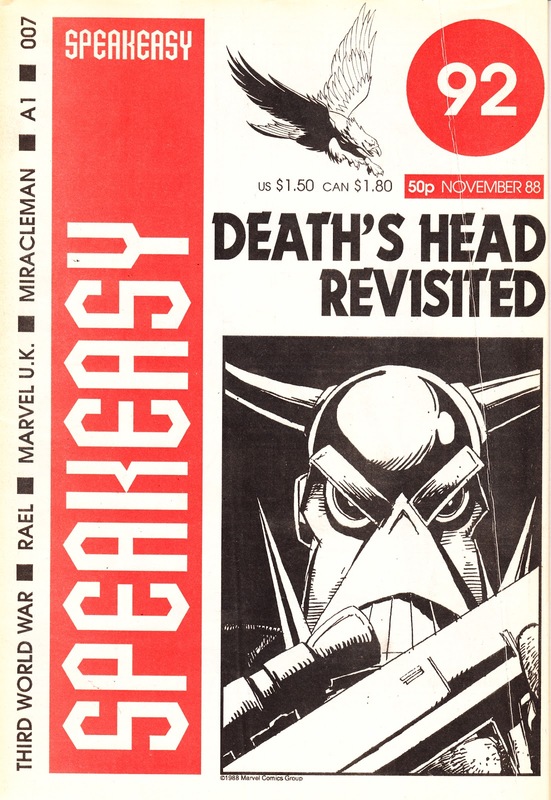 Unlike his successor, the original Death's Head adventures have been reprinted several times: Marvel UK issued a trade paperback collection shortly after the regular series was cancelled. 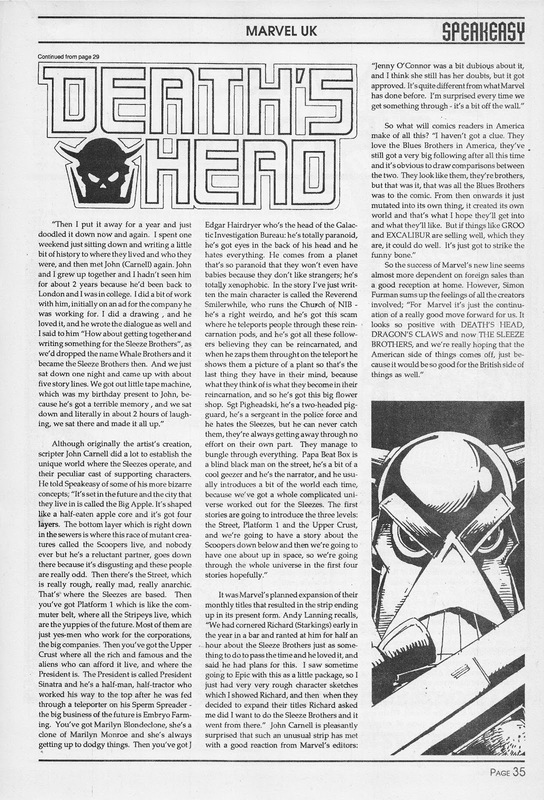 The run, which had limited North American distribution, was recycled along with the bulk of DH's non-TRANSFORMERS UK appearances as THE INCOMPLETE DEATH'S HEAD during the Genesis 92 boom years. More recently, Panini has issued two trade paperback collections which include the bulk of DH's Marvel Universe appearances. 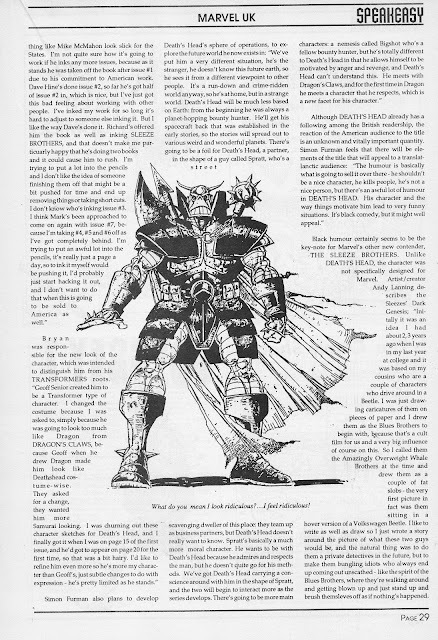 Good reading, yes?